but most importantly I have been able to rejoin my husband and three boys on family adventures. 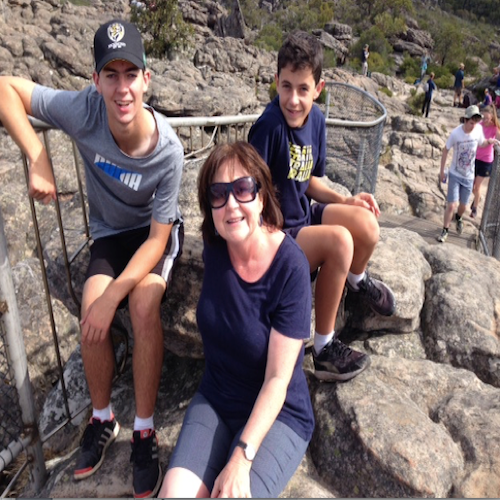 Climbing to the pinnacle at Halls Gap and walking 20km in a day – doing the touristy things in Sydney! Travel is definitely on my radar, with Italy being my dream destination– but at the moment, enjoying helping my boys to make a start on their dreams, as they wind their paths through senior secondary school and university.